Dr Arthur O'Connor graduated with his Dental Degree (BDS NUI) from Cork Dental School, University College Cork in June 2001 and then worked in general practice for 6 years. During this time he also passed the Membership of the Faculty Of Dentistry exams of the Royal College of Surgeons in Ireland and was awarded his MFD RCSI. In July 2007 Dr O'Connor travelled to study at the Boston University Goldman School of Dental Medicine, in Boston, Massachusetts, USA, undertaking a three year residency in Postdoctoral Prosthodontics. He graduated in July 2010 with a Certificate in Advanced Graduate Study (CAGS) in Prosthodontics and a Master of Science in Dentistry (MSD). Following this he undertook a one year Implant Dentistry Fellowship at the University of Pennsylvania School of Dental Medicine, Philadelphia graduating in July 2011. 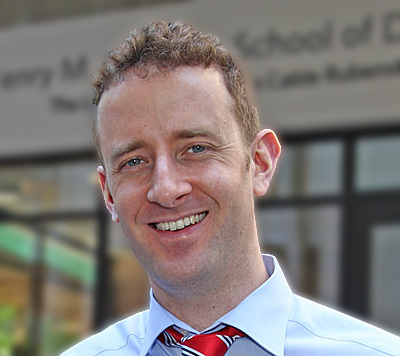 Dr Arthur O'Connor has worked as a clinical instructor teaching dental students at Cork Dental School, Boston University, and the University of Pennsylvania and lectured to dentists in Ireland and the USA. In July 2010 he presented a research paper at the International Association of Dental Research Annual Scientific Meeting in Barcelona. Currently he is on the committee of the Munster branch of the Irish Dental Association (www.dentist.ie) and he is Past President of the Irish Academy of American Graduate Dental Specialists (www.iaagds.ie). He is a member of the Prosthodontic Society of Ireland, the Irish Dental Association, he is on the European Prosthodontic Association list of Recognised Specialists in Prosthetic Dentistry and he is a member of the American College of Prosthodontists. Dr O' Connor is also Director of the Cork Branch of the International Team for Implantology (ITI) study group. Dr O'Connor's areas of expertise include restorative dentistry, and surgical placement and restoration of dental implants. On 30th January 2012 Dr O'Connor opened Cork Specialist Dentistry at Suite 18, Cork Clinic, Western Road. During his spare time he enjoys playing soccer with friends, sailing and supporting Munster rugby. Dr O' Leary graduated with her dental degree (BDS NUI) from Cork Dental School, University College Cork in June 1999. Following Senior House Officer jobs in Oral and Maxillfacial surgery and orthodontics in the Dublin Dental Hospital and the Countess of Chester Hospital she then proceeded to a Specialist Registrar position in Orthodontics in Kings Colllege London. After she finished her specialist training and obtained her Masters of Science in Orthodontics (with Merit) from the University of London she returned to Ireland. 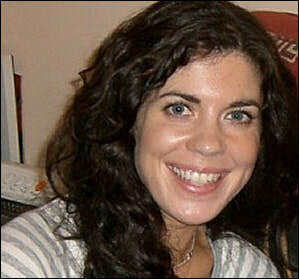 She entered private orthodontic practice in Dublin and Tullamore in 2007. Dr. O' Leary obtained several awards during her time in dental school including the Dr. B.Foley gold medal. Dr. O' Leary is on the specialist list for orthodontics in Ireland. She is a member of the Irish Dental Association, The Orthodontic Society of Ireland, the American Association of Orthodontists and World Federation of Orthodontists. She has been a memeber of several dental committees including sub-committees of the British Orthodontic Society, the British Dental Association and currently she is a member of the Irish Dental Association Quality and Patient Safety Committee. Dr. O' Leary has a special interest in adult orthodontics and provides lingual orthodontics (braces behind the teeth) as an option for her adult patients. She also uses temporary anchorage devices which can make treatment simpler and more efficient in selected cases. She attends national and international conferences every year to maintain an up- to- date practice.